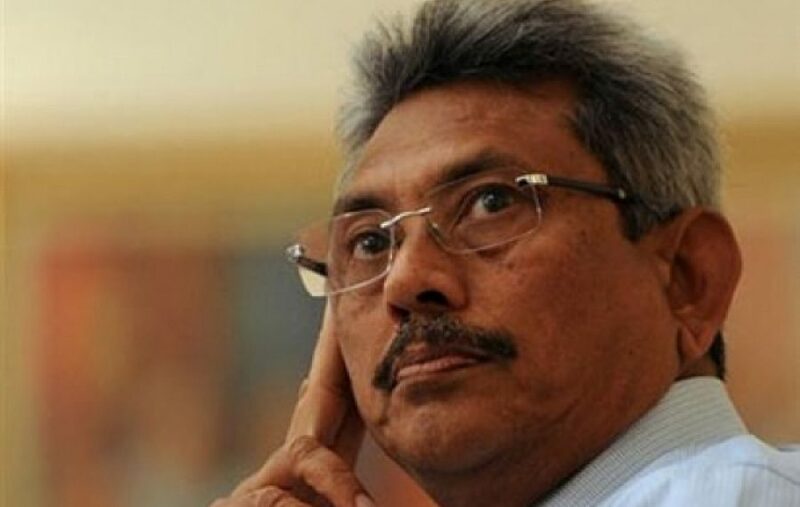 Colombo, March 8 (newsin.asia): Gotabaya Rajapaksa, former Sri Lankan Defense and Urban Development Secretary and younger brother of the country’ fifth President Mahinda Rajapaksa, is confident of getting elected as President of Sri Lanka at the end this year. He said in an interview here on Wednesday, that his confidence rests on his belief that Sri Lankans are yearning for a non-mainstream, ethnically unbiased and an economic and social development-oriented leader” to wrench the country from the morass it has been stuck for three decades. Known to be a hardliner on the ethnic issue dividing the majority Sinhalese from the minority Tamils and Muslims, Gotabaya however believes that he can get the votes of the minorities on the basis of his ethnically non-partisan and economic development agenda. People are tired of mainstream politicians who only think of votes and care little for the genuine development and progress of the people. I am not a mainstream politician and that is the advantage I have,” he said recounting his achievements in the developmental field as a top administrator in the Mahinda Rajapaksa government from 2005 to 2014. Even if the minorities, especially the Tamils, are swayed by ethnic considerations, he could win with enhanced support from the Sinhalese majority, Gotabaya believes. It is not essential to get the votes of the minorities to win a Presidential election. In 2010, Mahinda Rajapaksa won by 1.8 million votes without Tamil support. He lost in 2015 not because he did not get Tamil and Muslim support but because the Sinhalese urban middle class in key districts like Gampaha and Colombo did not vote for him. But still, Rajapaksa lost the election by only 449,000 votes. And even under the unfavorable conditions of that time, Rajapaksa got more than 100,000 votes in the Tamil North,” Gotabaya pointed out. Since his dual citizenship bars him from contesting elections, Gotabaya said that the process of getting release from American citizenship is on, and that this is not an issue at all. Since we did not have the funds, we borrowed. But we did not fall into a debt trap as it is alleged. We got the Sri Lanka Ports Authority (SLPA) to take the Chinese loan for building the Hambantota port because SLPA was a profitable organization and could re-pay the loan. In fact, the SLPA had paid the first installment of the loan taken for the Hambantota port by the time Rajapaksa demitted office,” Gotabaya recalled. Detailing his achievements in the field of ethnic reconciliation he said that during the war, Jaffna peninsula was bristling with military camps but when the war ended, he cleared lands up to Keerimalai, Vasavilan and Thondaimannar and kept only the Palaly High Security Zone. I had handed over 90% of the private land which the military had taken over. Only that area under the Palaly High Security Zone was retained for security reasons. If we needed some private land we purchased them,” he said. Another step he took on the reconciliation front was the infrastructure the Rajapaksa government built – roads, railways and schools and 100% electricity from the national grid. Demining was done to settle 300,000 people. The present modern hospital in Kilinochchi was an army camp during the war. And all this was done within a short period of time from 2010 to 2014. Above all, we gave back to Sri Lankans their most important right – the right to live,” Gotabaya said. According to Gotabaya, the Tamils’ struggle for devolution had economic and not political roots as Tamil politicians would like others to believe. When the Sirima Bandaranaike government imposed restrictions on imports on agriculture products, the Jaffna farmer producing onion, potato, chilli and tobacco gained a lot. But when the J.R.Jayewardene government liberalized imports, Jaffna famers were badly hit. No wonder then, that in the 1982 Presidential election, the Northern Tamils voted massively for the SLFP candidate Hector Kobbekaduwa, who got few votes in other parts of Sri Lanka,” Gotabaya pointed out. Alienated farmers joined the ranks of other alienated sections to struggle for separate Tamil country Eelam”. Tamil politicians should ask themselves if devolution would actually solve their problems, Gotabaya said. Is it not the truth that no province in Sri Lanka will survive without links with the Western Province which generates all the income? Therefore, our agenda had been to develop other regions in the country and not just the Western province. This is why the Hambantota port was built and roads and railways were laid in the North and other provinces. If there is all round development of the country, and there is economic equality, a Tamil person could be Prime Minister of Sri Lanka,” Gotabaya said. The Tamil parties are going in the wrong direction, he pointed out. The Tamil parties do not know what the Tamil people really want. Tamil parties demand police powers for the province but the people there do not want locally recruited police. So much for the demand for a provincial police force,” Gotabaya pointed out. Ethnicity-based politics has only delayed political settlements and economic development, he argued. In the early 1980s, the District Development Council were agreed upon, but the UNP scuttled the scheme. In 1987, India got involved and the 13 th.constitutional amendment was brought about .But the LTTE rejected it. Where is the end to all this? When will people get a chance to develop and lead happily?” he wondered. The failure of the Good Governance” regime works to his advantage, he believes. Thousands of government servants are being investigated by the Finance Crimes CID, Gotabaya alleged. The other matter of great concern is the absence of stability in the government, Gotabaya said. Lack of unity of purpose at the top has led to policy instability which in turn has adversely affected local and foreign investment. The lack of consensus and continuity on policy has led to problems with India and even China,” he said. He pointed out that promises were made to India in regard to the Eastern Container Terminal in Colombo port and the Kerawelepitiya LNG plant. The government had initially agreed to give the LNG plant project to a consortium with only one plant envisaged. But now there is a tender for another one. The same kind of confusion hampered Chinese projects. As regards the move to abolish the Executive Presidency through the proposed 20 th.Amendment, Gotabaya said that abolition should not be done piecemeal. The Executive Presidency should not be discarded before changing the election system. The present Proportional Representation System should be abolished before the Executive Presidency is done away with. The PR System creates instability in parliament. You can’t have a divided and weak parliament as well as a ceremonial Presidency. I don’t think that there are many takers for the abolition of the Executive Presidency,” he said. On the question of relations with India and China, Gotabaya said that any Sri Lankan government would need to be non-aligned. On relations with India, he said that Sri Lanka should keep India’s friendship and be mindful of the island’s environment. It should not jeopardize India’s security. India does not have to worry about us. We will not do anything against it. But at the same time we do not want to get involved in big power rivalry,” Gotabaya said. At last someone understands it. Very clever to get it. But Gotabaya can’t take Sinhala votes for granted. He must promise to abrogate 13A for guaranteed Sinhala support. We know very well that Tamils and Muslims will not vote for him more than10%. He has to rely on more than 63% of Sinhala voters to make him win. If Sinhala voters are divided, he lose. If he doesn’t want to divide Sinhala voters, agree to abrogate 13A. This entry was posted on Friday, March 8th, 2019. You can follow any responses to this entry through the RSS 2.0 feed. You can skip to the end and leave a response.